Well this is a surprise, I didn't think the US would look at another cruiser design, but here we are. Clark said it was a great move to ensure that the next surface combatant has excess power and capacity for future capabilities. The Navy’s current large surface combatant program, the DDG-51 destroyers, are moving on to a Flight III variant that supports Raytheon’s AN/SPY-6 Air and Missile Defense Radar. But to support the power-hungry sensor, engineers had to pack a ton of extra power generation capability in the Arleigh Burke hull form. Yes Mike surprise indeed. I thought the US was building all the AB destroyers in large numbers to compensate for the cruisers. With only the yanks and the Russians that still operate cruisers they might go the same way as the battleships in the near future. With the fire power modern destroyers have are cruisers really worth it in the long run. I believe that the Arleigh Burke design is seen as having limitations in terms of space and future growth potential, hence the search for a new, larger hull design. The Tico's provide the lynchpin for the AAW capability of an entire task force, plus are the ships of choice for anti-ballistic capability. The recent defence budget is having the same effect as the Reagan defence budgets did on the increasingly fragile US Military back in the 80s. Back then, once the flood gates opened and the US Military started to introduce capabilities like the Bradley, the F117, the M1 Abrams, the Aegis system, the Tomahawk, the Los Angeles class, all in significant numbers, the Russian's realised their hopes of defeating the west in a conventional war were as dead as Lenin. Today the same thing is happening under Trump. He has stated that he wants a 355+ surface combatant ship Navy, a revitalised Air Force, including a new strategic stealth bomber and an Army that can fight any peer force and win. With the budget locked in for the next few years the US military is doing just that. New cruisers to replace the aging Ticos. Frigates to replace the LCS which were someone's idea of trying to fight Iranian boghammer boats without building frigates. They don't work. Developing UAVs to provide round the clock air to air refuelling capability for carrier air wings. Developing and fielding directed energy and rail guns at sea. The Russians and to a much greater extent the Chinese must be cursing. Last edited by MikeJames on 18 Sep 2018 13:57, edited 1 time in total. According to USNI, the new AMDR panels are denser (so heavier) and require a lot more power, the Tico's cannot take the additional top weight or produce the power. Still love them though, they were designed back in the 80's and by the time they have gone they will have provided around 45 years at the sharp end, retiring still more capable than the modern ships of most navies. I just hope the new cruisers look as good as the Tico's, as I cannot say I'm enthusiastic about building a Zumwalt (or something that looks like it) from a modelling perspective. Most destroyers and frigates have the sensors required to fight concentrated together, i.e. damage the bridge area of an AB and you are dead from a fighting perspective, even if the ops room deep in the ship is undamaged, same for the AWD, Type 45 or Zeven Provincien etc, etc. In the new cruiser requirement, I would be surprised if you do not find a mandatory split of sensors just like the Tico’s fwd and aft, meaning you can take damage and still fight. Not to mention the extra gear and people to act as a battle group commander that the Tico’s have and the AB’s don’t. Dead right Rob, the Command and Control functionality of the Ticos is what stands them head and shoulders above the Arleigh Burkes. Mind you, the Burkes are still the second most capable AAW platform at sea after a modernised BMD-capable Tico. I still believe the F100 / AWD was a mistake and that we should have plugged into the US production line for Type IIA Burkes and spent the money saved buying off the US production line on additional kit for the RAAF and Army. That way we'd have more capable destroyers with twin hangars and a larger loadout. I don't buy the argument that you have to build here to maintain here. It didn't affect the RAN's ability to maintain the DDGs and the FFGs or the Oberons. Still, the AWD can piggyback off the US Navy's long term commitment to Aegis and the SM-3 / SM-6 missile. 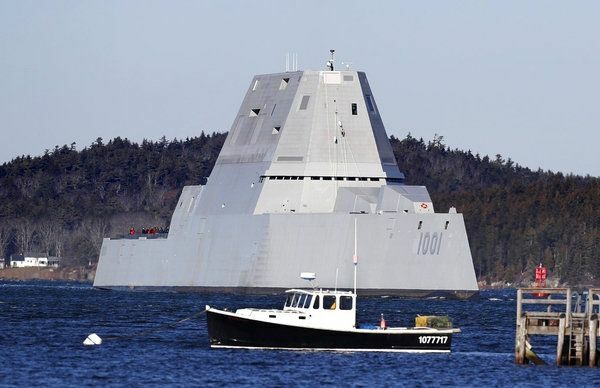 I have to agree with you that the Zumwalt hull is an abomination. The last 10 of the Flight IIA’s have engineering changes (apparently two thirds of the ship had to be redesigned to accommodate this, making it a sub class effectively) so they could be upgraded to AMDR in the future. As for the rest of existing Fight I, II and IIA versions, like O'Kane, Roosevelt and Spruance for example, they cannot be changed to this extent, so unless a new AMDR panel is produced that does not need 30% more cooling than these versions can produce, then they will always be limited to pre SPY6 (what AMDR has been renamed) for their service lives. The office of the Chief of Naval Operations Director of Surface Warfare, or OPNAV N96, has convened a “large surface combatant requirements evaluation team” to figure out what the Navy’s next large ship will look like and what it will need to do. 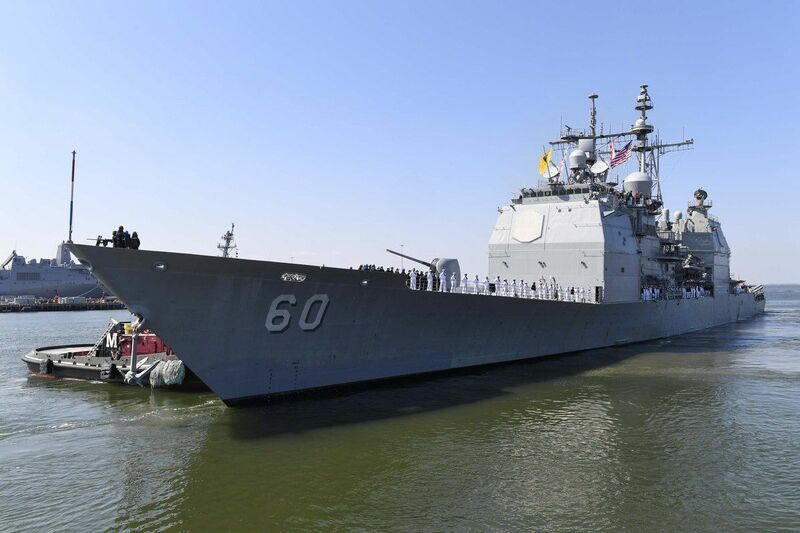 The goal, according to the N96 head Rear Adm. Ron Boxall, will be to buy the first cruiser replacement in 2023 or 2024. “You need something that can host the size, weight, power and cooling, so it’s probably going to be a little bigger," Boxall said. "Flexibility and adaptability, the ability to upgrade quickly, is going to be a key requirement capability. It’s got to have room to grow. Future missiles are also driving the need for a larger ship. Missiles fired by surface combatants are going to need to travel further and faster. That means the vertical launch system launchers will need to get bigger to accommodate a larger missile. “What is crucial to me is that, in addition to its size, sensors, and weapons, this ship must be able to one day accommodate several medium altitude long endurance unmanned aerial vehicles capable of dramatically extending both the sensor and weapons range of the ship.